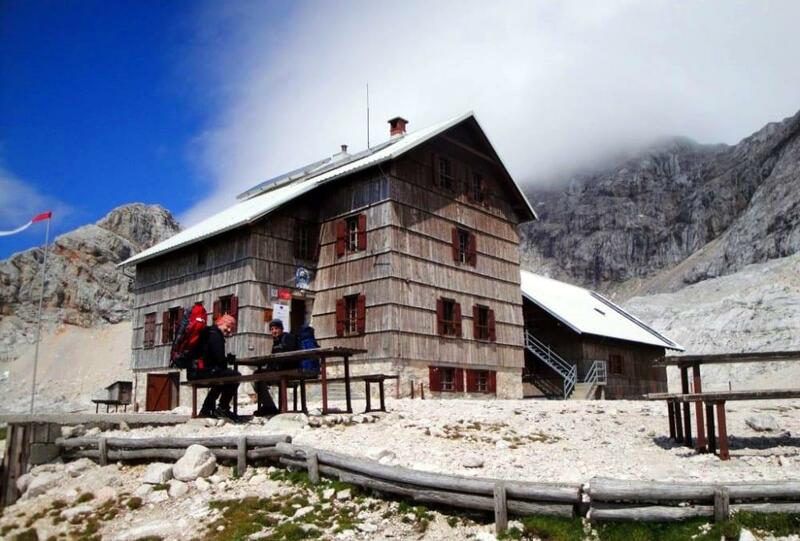 All about the Mount Triglav Climb – Slovenia. 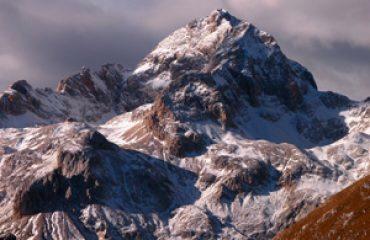 Mount Triglav is undoubtedly the most well known and most visited Slovene mountain. 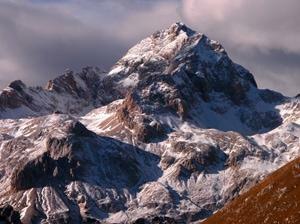 A classical ascent of Slovenia’s highest mountain, mostly recognised by its outstanding shape of the three heads. We cannot promise you that it will be easy, but we do guarantee that it will be worth it. 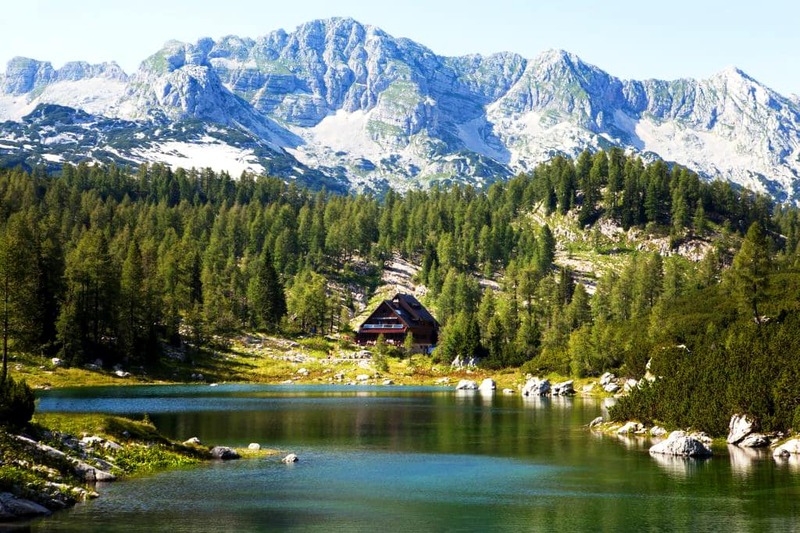 This 3-day, self-guided Mount Triglav Climb with Triglav lakes Valley trekking is truly the best of both worlds. Hiking on your terms and pace with all the help and support you need so you can focus on what matters to you the most. Experience breathtaking scenery of high mountain peaks and lakes. Magical Bohinj Lake and Triglav National Park. Mount Triglav (2864 m) – the highest peak in the Julian Alps. Stay in rustic mountain huts. 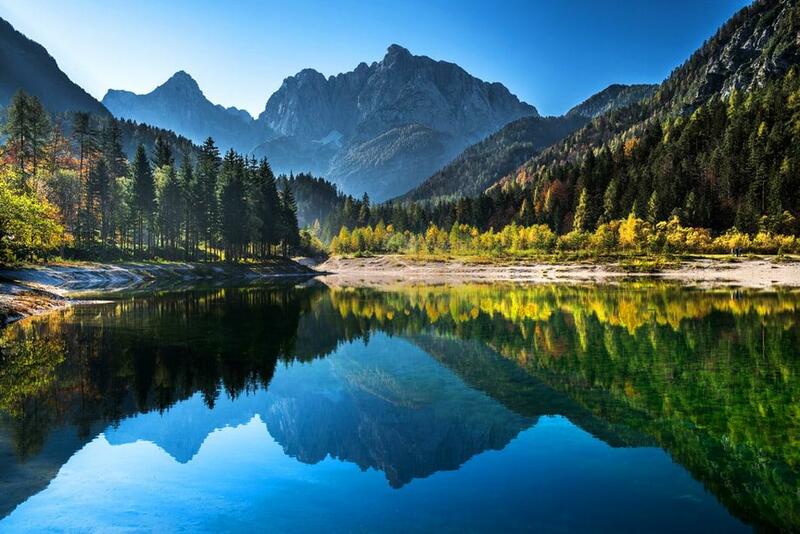 Walk through the well-known Triglav Lakes Valley. Visit the picturesque town of Bled. Visit Savica waterfall and Mostnica gorge. 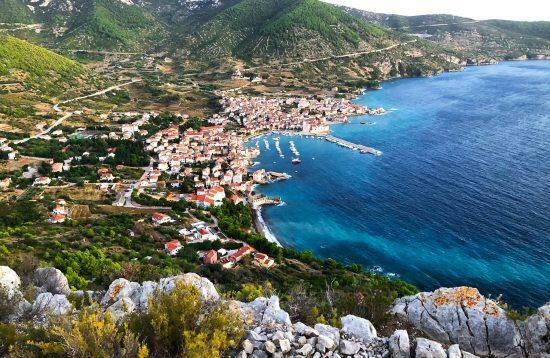 Activity: Self guided trekking with via-ferrata climb. Accommodation: Mountain huts (2 nights in dormitory rooms), breakfast included. Date: From July 1st to September 30th. Start of the tour: Stara Fužina, Bohinj (Arrival cities are Bled or Bohinj). Booklet with detailed itinerary, route instructions and details with vouchers. 2 nights in Mountain Huts (dormitory rooms, breakfast included). Private transfer from Bled to start of the tour in Stara Fužina. Private transfer from Bohinj to Bled at the end of the tour. Rental of via-ferrata equipment (helmet, harness, via ferrata set) and hiking equipment (hiking poles, backpack, basic rain jacket). Bottled water at the start of the tour. Purchase of single-use sheets at the huts (2,50 eur/set). The use of sleeping sheets is obligatory at the huts. You can either bring your own or buy single-use ones. Blankets are provided free of charge. Food and drinks: lunch (approx. 10-15 eur/meal) and dinner on all days. You will start your hike from Lake Bohinj towards a nearby village of Stara Fužina where you will enter a forest trail that will lead you through Voje Valley and Mostnica Gorge. 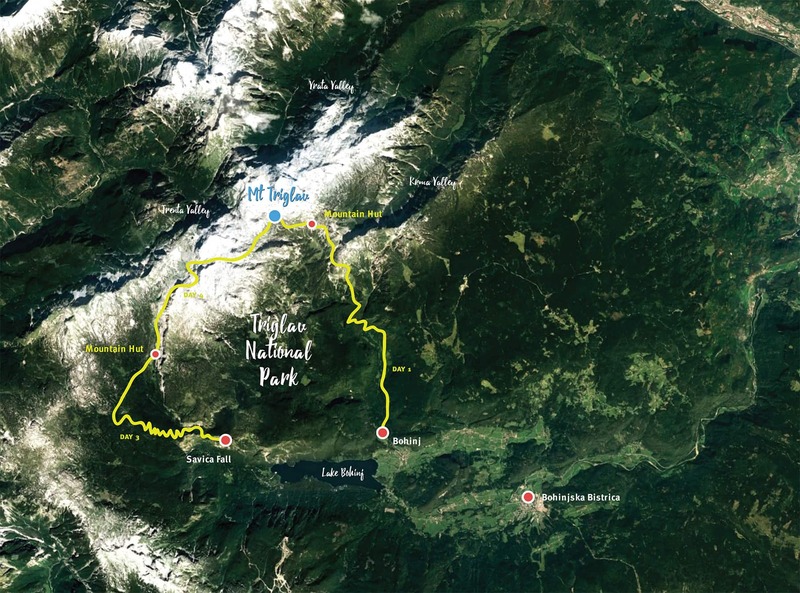 The hike will take you up to Vodnik Mt. Hut and onward to Planika Mt. Hut where you will spend the night. 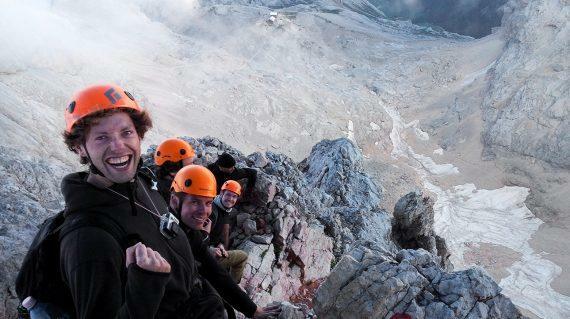 Today you will climb the via ferrata from the hut to the summit of Mt. Triglav (400 m height difference). You will descend through the well-known Triglav Lakes Valley, past several mountain lakes. You will stop at the Triglav Lakes Hut by the Double Lake, where you will spend the night. The path will lead you past Black Lake to Komna plateau. You will descend to Bohinj Lake, where your hiking adventure will end. Optionally, at the end of your hike, you can do another 20-minute hike and visit the well-known Savica waterfall. Afternoon Transfer from Lake Bohinj to Bled. Mountain huts are basic, generally with excellent mountain views, hearty cuisine and warm atmosphere. In the mountain huts you will generally sleep in dorm rooms with 5-30 people. There are no showers in the mountain huts. Meals can be ordered in hut's dining room. You can purchase picnic lunch supplies in towns before the start of the tour or purchase lunch from your accommodation providers the night before. It is always good to have snacks and energy bars with you, particularly when you are staying in the huts where supplies are limited. What kind of footwear is most suitable?What the prices of food and drinks at the huts?What is good to bring along? Which equipment do I need?Tips and suggestions?What about the weather?How demanding is the tour?Tips and suggestions?Do I need insurance?What kit is provided? What the prices of food and drinks at the huts? What is good to bring along? Which equipment do I need? Appropriate footwear is essential part of any hiking tour. There are a variety of models on the market designed to meet the needs of different types of hikers; the challenge is finding the one that works best for your purposes. You will often hike on rocky or uneven terrain that calls for a stiff boot with a higher cuff for ankle protection, for both preventing sprained ankles and blocking stony blows to the side of your foot. 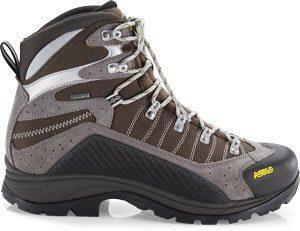 Choose hiking boots that have good ankle support and are well protective on a rocky terrain. Hiking boots are typically heavier and have stiffer soles and sides as well as a reinforced, protected toe area. Those kinds of boots take time to break in. You should not go on multi-day trekking with brand new boots!! Before you hit the trail, make sure to break them in properly, to avoid serious blisters and other unnecessary pain. Food and beverage prices at the mountain huts are slightly higher than average. Please note that the huts don't accept credit card payments! Cash only. Water bottle (preferably reusable) not bigger than 1 litre. The hike is considered a challenging activity with a demanding climb to Mt. Triglav. The hike demands high level of endurance and can be challenging for those, who are not used to longer hikes. The climb to the summit of Mt. Triglav is via ferrata (italian for “iron way”), which is an extremely steep climb on steel ladders and steel wires and is not recommended for people, who are not in a good physical condition or are afraid of heights. The climb is also not recommended for children younger than 15 years and pregnant women. All travellers are required to notify us before booking the tour of any medical conditions they might be suffering from, as well as dietary restrictions. All medications can and should be brought to all activities in the program. If you suffer from any medical conditions, we strongly suggest that you consult your physician before booking a tour to receive an expert medical advice. We are more than happy to discuss and recommend the most suitable adventure for you based on your conditions, but cannot carry responsibility for your health. Do not bring too much water - 1 litre/person is enough. The path passes by mountain huts where you can get a refill and you will be able to enjoy fresh mountain spring water along a way, which is a special treat on its own. There is no need to bring food, as all food can be purchased in mountain huts you will pass by. We do however suggest you bring some small snacks. Our favourites: energy/chocolate bar, granola bars, apple, banana, raisins. 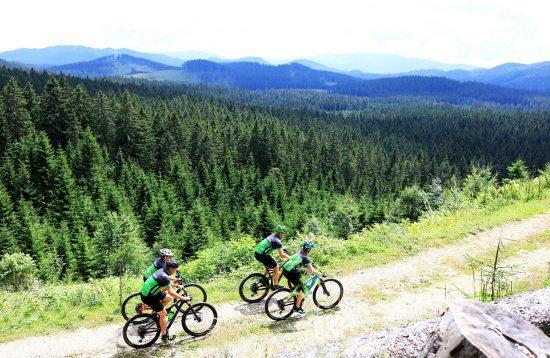 And last but not least: everyone, who climbs Slovenian peaks, hikes Alpine meadows, or takes a dip in crystal clear rivers, must understand and remember that Slovenians hold nature very close to their hearts and are as a nation devoted to protecting its beauty and health. Please, respect mountains and valleys, don’t litter, do not be wasteful, or loud, do not pick flowers along a hiking path and keep away from wild animals. Enjoy the surrounding pristine nature. Never underestimate extreme and unpredictable mountain weather. Come prepared for any weather conditions. Keep in mind that you will spend your days high in the mountains. Even on hottest summer days, the weather in the mountains can change quickly. Thunderstorms are relatively common in July and August. They develop rather quickly, but usually build up in late afternoons and evenings, so it is best to start hikes early in the morning. 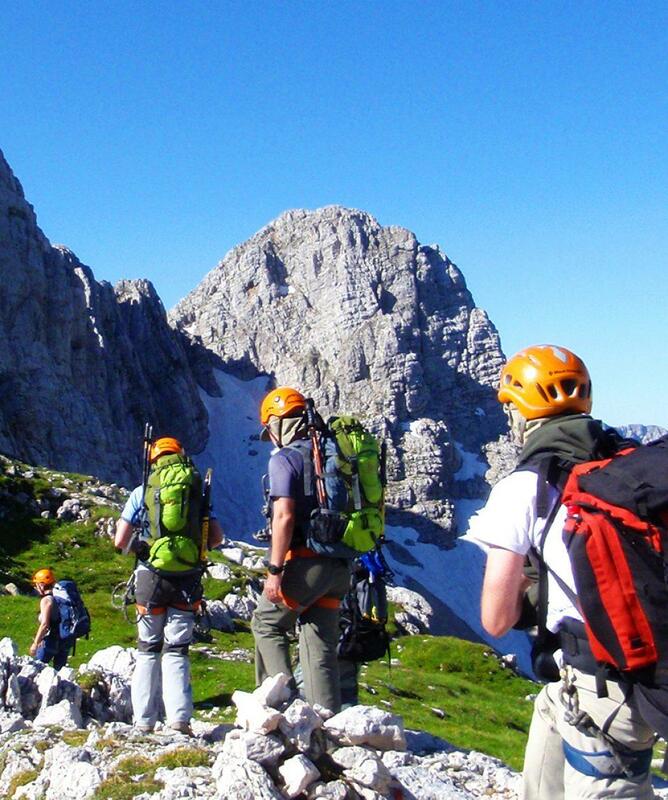 The climbing season for Mount Triglav is from July through September. Summer weather on Mt. 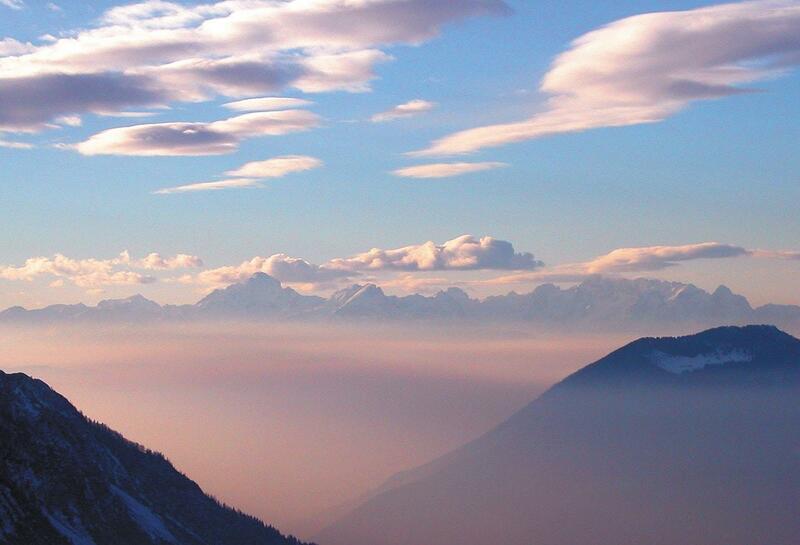 Triglav is quite cool; when it’s pushing 30°C on the Slovenian plains, it may be just 10°C on Mt. Triglav. It often drops below freezing at night, and snow may persist in nooks and crannies throughout the year. Weather on the mountain is highly variable, bringing unexpected wind, rain and even snow. The hike is considered a challenging activity with a demanding climb to Mt. 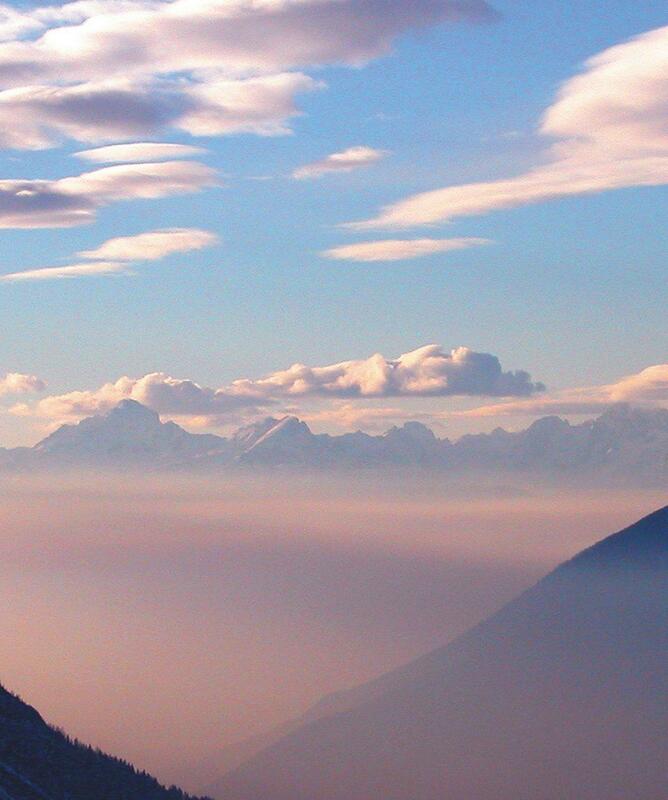 Triglav. 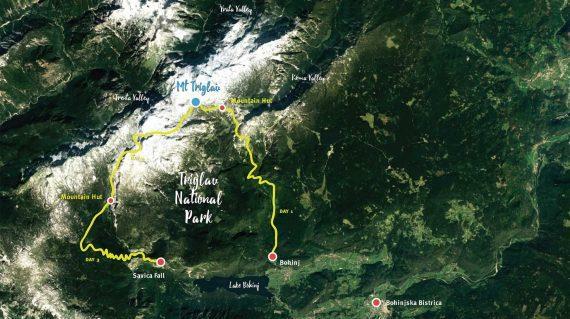 Although certain parts of the trail may seem easy due to low incline, they do demand high level of endurance and can be challenging for those, who are not used to longer hikes. The climb to the summit of Mt. 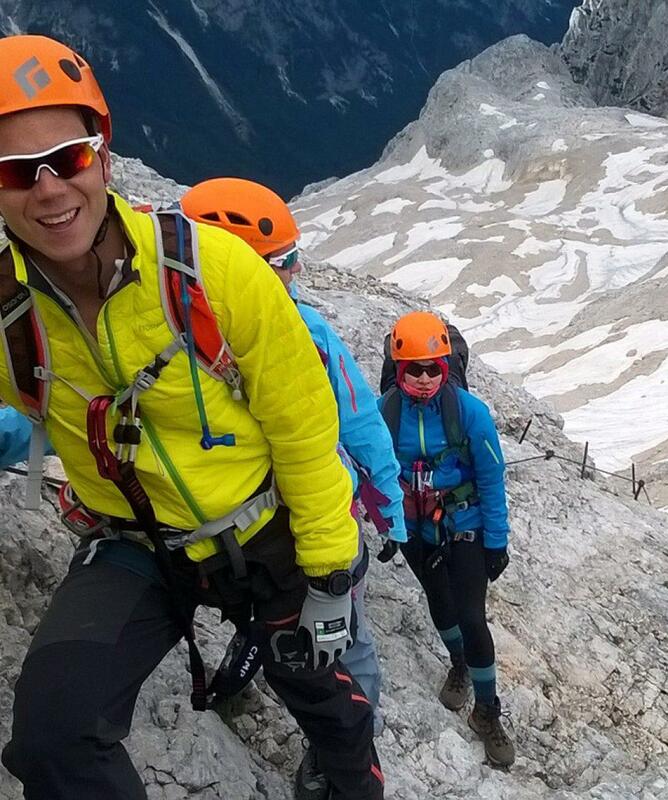 Triglav is via ferrata (italian for “iron way”), which is an extremely steep climb on steel ladders and steel wires and is not recommended for people, who are not in a good physical condition or are afraid of heights. The climb is also not recommended for children younger than 15 years and pregnant women. All travellers are required to notify us before booking the tour of any medical conditions they might be suffering from, as well as any dietary restrictions. All medications can and should be brought to all activities in the program. If you suffer from any medical conditions, we strongly suggest that you consult your physician before booking the tour to receive an expert medical advice. We are more than happy to discuss and recommend the most suitable adventure for you, based on your conditions, but cannot carry responsibility for your health. Do not bring too much water – 1 ,5 litre/person is enough. The path passes by mountain huts where you can get a refill and you will be able to enjoy fresh mountain spring water found a couple of times along a way, which is a special treat on its own. There is no need to bring food, as all food can be purchased in mountain huts you will pass by. We do however suggest you bring some small snacks. Our favourites: a chocolate bar (chocolate is a great energy booster! ), granola bars, an apple, a banana, raisins. 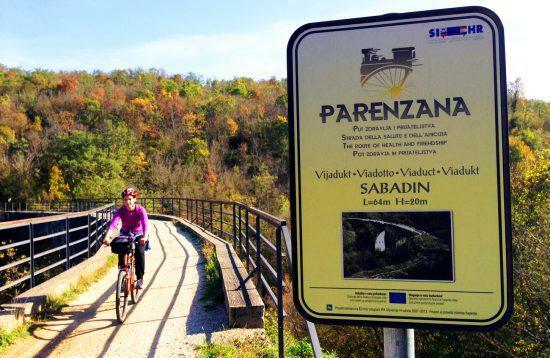 And last but not least: everyone, who climbs Slovenian peaks, hikes Alpine meadows, or takes a dip in crystal clear rivers, must understand and remember that Slovenians hold nature very close to their hearts and are as a nation devoted to protecting its beauty and health. Please, respect mountains and valleys, don’t litter, do not be wasteful, or loud, do not pick flowers along a hiking path and keep away from wild animals. Enjoy the pristine nature that is all around you! We suggest that you travel with a comprehensive travel insurance, including emergency evacuation coverage. We strongly recommend that you purchase travel insurance that includes cancellation protection so that you will be covered in the event that you are unable to attend our trip (due to injury, illness or other unforeseen circumstances). We do not provide travel insurance for our clients. Please contact your local travel agent to purchase travel insurance. As coverage and a price of the insurance changes depending on your travel destination, do make sure that you purchase a coverage for all countries you will be traveling in during your holidays. 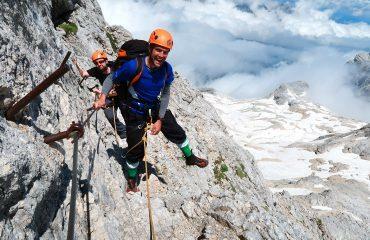 You will be provided with full via-ferrata climbing equipment (helmet, harness and via ferrata set). Upon request, you can also be provided with hiking backpack and/or hiking poles. 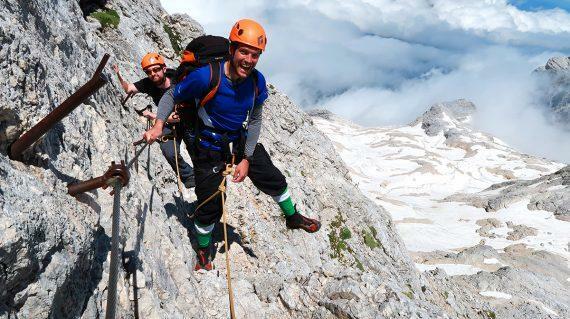 This was our first trip to Slovenia and we booked the Mt Triglav 3-day self guided climb, a 3-day Underground trekking tour and Karavanke range trekking through Life Adventures. I thoroughly recommend all trips. 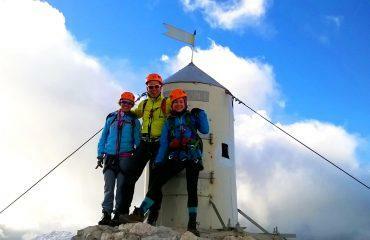 Mt Triglav requires reasonable fitness and a good head for heights, but the views from the top are spectacular. The caves are less challenging physically but the formations inside are some of the best in Europe and not to be missed on a trip to Slovenia. 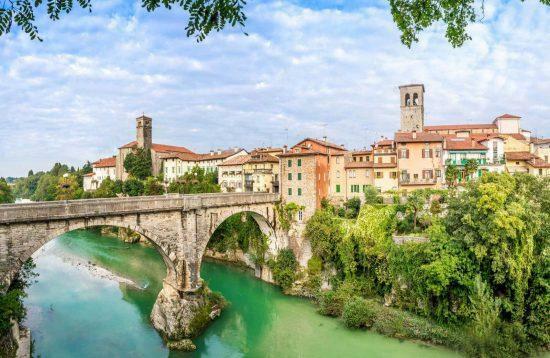 Although three days of caves may sound like a lot, they are all different and the tour combines the caves with great food and wine. I should mention that Tina helpfully booked 4 nights accommodation for us in huts on a self-guided tour in the Karavanke range and even re-booked half those after bad weather held us up in one hut for an extra night. Not many agencies I know would provide that kind of free service. Overall I would recommend both Slovenia and Life Adventures without reservation. We payed €168 each for a self guided tour to Mt Triglav. 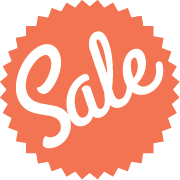 The price includes 2 nights of accommodation with breakfast, transfers, equipment hire (harness, helmet, crampons, hiking poles), map and instructions and a place to store our luggage. The staff were very efficient with their communication and customer service and my partner and I were extremely satisfied. Thank you very much! Would definitely recommend to people who want a challenge. Fantastic service, super enthusiastic and friendly workers. Me and 2 of my friends have booked the "self guided trek to Mt. Triglav" package and it was the absolute most fantastic experience for all three of us. The package basically includes everything that a guided trip has, "except the guide" - that is, private transport to and from the start and end of the trail, equipment rental, 2 nights at mountain huts including dinner and breakfast, detailed maps, security briefing, 24h telephone assistance. Since the trip is after all self-guided, which means that no matter how much assistance you get, you are a bit "on your own", we asked millions of questions from the organizers prior to the trip - some of them very silly and basic :). Katarina, and employee at Life Adventures answered every single of our questions in unexpectedly great detail, and always with super short notice. I think we bombarded her with at least 10-12 emails with a dozen questions each, and all the answers were in our mailbox, latest the day after, without fail! Life Adventures were even willing to tailormake the trip after our own needs with short notice - on their homepage it says that they will pick you up at your accommodation, if you are staying in Bled. Well, our accommodation was about 10km from Bled, but they arranged the pickup anyway, with no extra charge or hassle. Also, upon completing the hike, we decided that we would take a dip in lake Bohinj - which is about an hour of extra walk from the agreed upon pickup point - and they agreed to picking us up at a different spot anyway, with just one hours notice. In the mountain huts, we actually got a lot more than what we were promised. We were told that the accommodation will be in large dormitory rooms with ~18 other people sleeping, and that the price includes breakfast. Well, to our surprise, the price also included dinner in both huts, and in the first hut, we got so lucky that we even got a private room for just the 3 of us! I guess it was mostly due to us being super lucky, but it must mean that Life Adventures hasn't specifically booked a bunk bed spot it a large dorm for us, but probably "the best possible spot based on availability" which I guess must be more pricy. The hike itself was just absolutely fantastic, a truly unforgettable experience. We were super lucky with the weather and the circumstances as well. Majestic views and scenery. I recommend taking the self-guided triglav trip for everyone. The great thing about it is that it takes 3 days instead of the guided trip that takes only 2 days, so you can really give it all the time you want, you can stop for taking a lot of pictures, or keeping long lunch breaks in mountain huts. I haven't tried the guided trip, but I guess you have to keep a faster pace. And also, you don't actually need a guide... the map and the route description they give you are super detailed, and if you happened to get lost anyway, they provide 24h telephonic assistance. 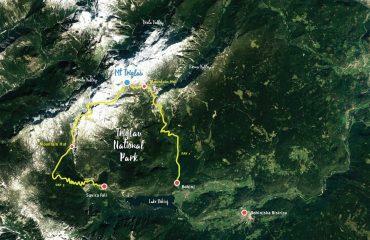 Also, the triglav is a physically semi-tough hike, but don't be too afraid of it. We have e.g seen a 70 year old lady with a 10+ kg backpack totally nailing it. The ascent to the summit is steep as hell but there are marks on the rocks for literally every step - there is either a metal pin to hold onto or to step on, a steel cable to grab onto, or there is a red painted sign on every meter. So basically you don't need to think for a single second, just "follow the instructions". This actually made me feel super safe, this doesn't happen on any other "normal" mountain hike, then you also need to deal with the fact of being lost several times underway. 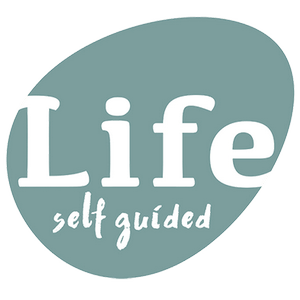 So basically I just wanna say that there is really no need for a guide, because you have enough guidance anyway. Thanks for a most fantastic trip, Life Adventures! !